Gift for kids! This is my Edu/Gaming OS for school going kids. Kid learns from Educational/Gaming software, good for parents. This is delivered in USB. Look further details below if you are interested. Video review in Urdu at the end. ایجوکیشنل گیمنگ یو ایس بی 8 یا 16 جی بی کی ہے. Before we didn’t allow to install from our Educational Gaming USB (RoshanTech GMOS). Now we let it go & you can install it legally to as many systems (PCs/Laptops) as you like! Existing customers, please contact us to get this FREE option in your Educational Gaming USB. 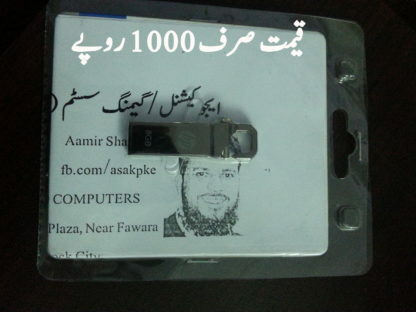 Educational Gaming USB price is just Rs. 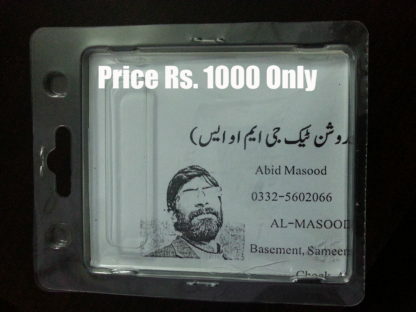 1,000 only. FREE deliver within Pakistan. Normally it takes 2 or more working days to deliver. Keep sharing this opportunity. We are offering FREE* installation of Educational Gaming System (RoshanTech GMOS) on one computer lab PC for Schools, Tuition Centres, Internet Clubs and any other organization having computer lab. Halonix Internet Cafe is one of the 1st to entertain this offer. Anybody can check our Educational Gaming System there at Ahmed Plaza, Near Sojanda Bata Ada, Attock City. Share on your wall or friends’ to promote this FREE opportunity. 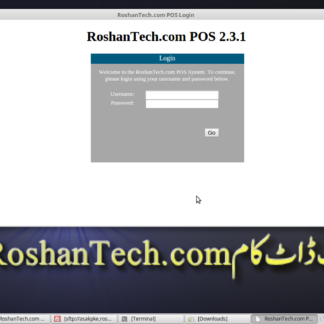 Hi, welcome to the Edu Gaming (RoshanTech GMOS) review in Urdu/Hindi language. In this review, we are going to explore what is this OS and how to use it. 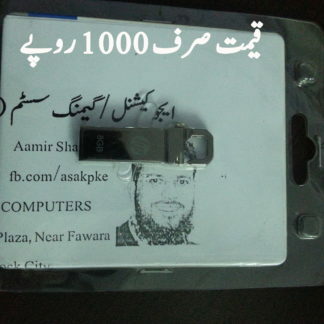 I’m Aamir Shahzad from Attock City, Pakistan, fb.com/asakpke, introducing this Edu Gaming. The 1st question comes in mind what is this Edu Gaming OS or what’s this Edu Gaming USB. This is a special OS dedicated to the school going kids, event non school going kids also get benefit from it. Some people may ask me why did I created this Edu Gaming? Actually, Initially I did installed some educational/gaming software on the system of kids within my family. Later on I have decided to open it for rest of the world i.e my Attock City, my province Punjab, my country Pakistan and other countries. Let’s see where it reaches. In this review I have shown some Edu Gaming. You may be wondering will my PC support it? Maybe. It requires P4 (or maybe P3) with at least 512 RAM. 15 GB or more space is enough to install this Edu Gaming OS System. What’s the difference between Live USB and installed system? Settings, data, done levels of games and other things may not be saved on the USB. So on restart it may not show you those things. On the installed system all these things will stay in the system. So you may enjoy more with Edu Gaming. It’s recommended to install this system but if you can’t provide your system to us then this live USB is enough to play games. Live USB requires at least 8 GB USB. If you have 16 GB USB then we may install Edu Gaming OS on your USB and you will get all the benefits of installed system on the USB. Best bet is to bring/send your USB/Hard disk/CPU and we will charge you the only the installation process Rs. 600. Other wise you have to pay USB charges and if you are ordering outside the Attock City/Country then you would also pay courier service charges. Contact Mr. Abid Masood for installation, purchases and support. Here are his contact details. 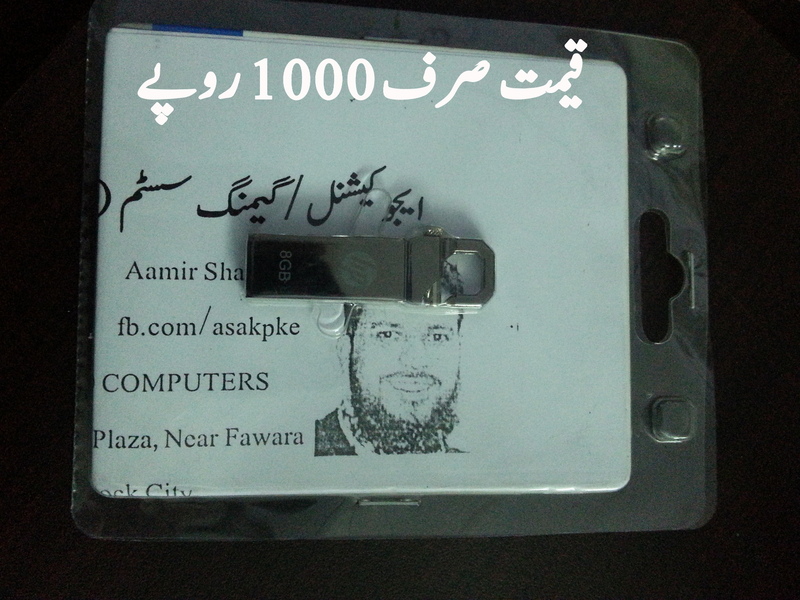 Address: AL-MASOOD COMPUTERS, basement, Sameer Plaza, near Fawara Chock, Attock City, Pakistan. Educational Gaming USB is amazing. I have been using it in my home. It is very helpful for people of all ages and especially Children. It’s usage is very simple and easy. Kids can get benefit from using this. The basic understanding of the use of Computer is demonstrated in the games available. It is source of learning as well as entertainment. I would recommend Educational Gaming USB to Kids, Schools and Computer Labs. Moreover, I would request Elders to provide this opportunity to Kids. Thank you Humaira. Because it’s secure & virus free, that’s why it’s good for elders as well. I am using Educational Gaming USB. It is very useful. It has a variety of games. I like the Puzzle games in it. One of my favorite game is Super Tux. I recommend Gaming USB to the Parents, teachers and all the elders to please provide it to their kids. Thank you Sadaf. Yes, Super Tux is the most popular game in this collection. Excellent job by admin to create such helpful and educational program not only for children who can learn maths english science etc by playing games but also for adult who like to play classic games. A must purchase item for any home. Thanks Mr Abid. Mostly elders used it for ease & security.